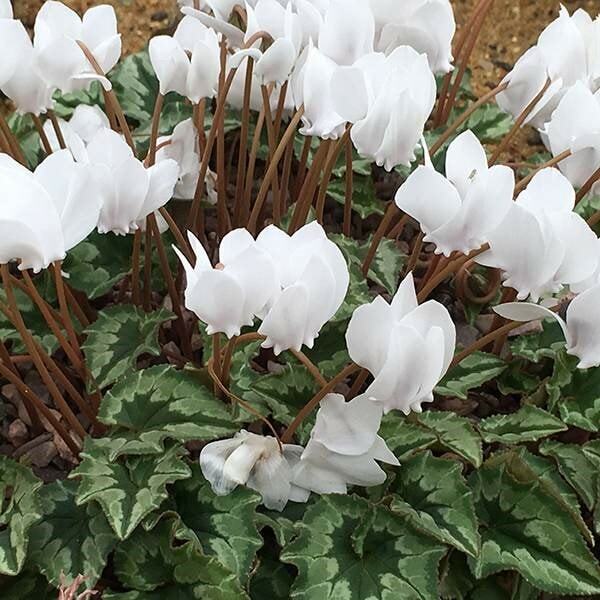 With their pretty, marbled, heart-shaped leaves and upright, pure white flowers, these cyclamen have a long season of interest before disappearing below ground over the summer. 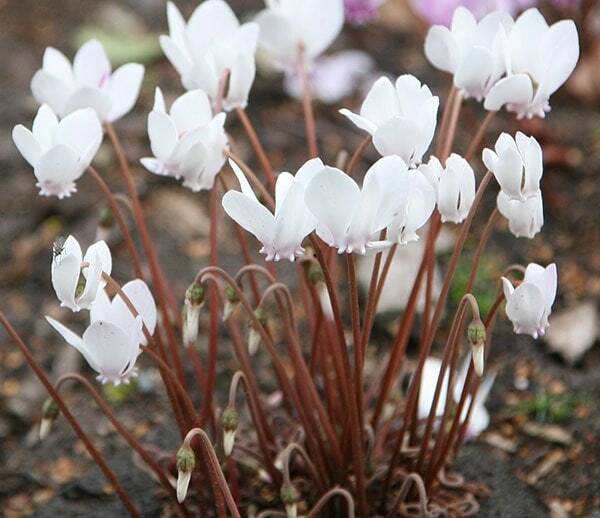 The flowers of this autumn-flowering cyclamen often appear well before the leaves, which form a pretty carpet after the flowers have finished. Although they are usually planted in shade, these cyclamen originate from the Mediterranean, so are equally happy in sun. Plant them en masse in an woodland setting with ferns and other shade-tolerant plants or around the base of deciduous trees. Every time I get a plant drom crocus im not disappointed.